Joc Pederson's new Nike Alpha Huarache Elite 2 cleats have quickly become the most used Nike cleat on the field in the 2018 playoffs. 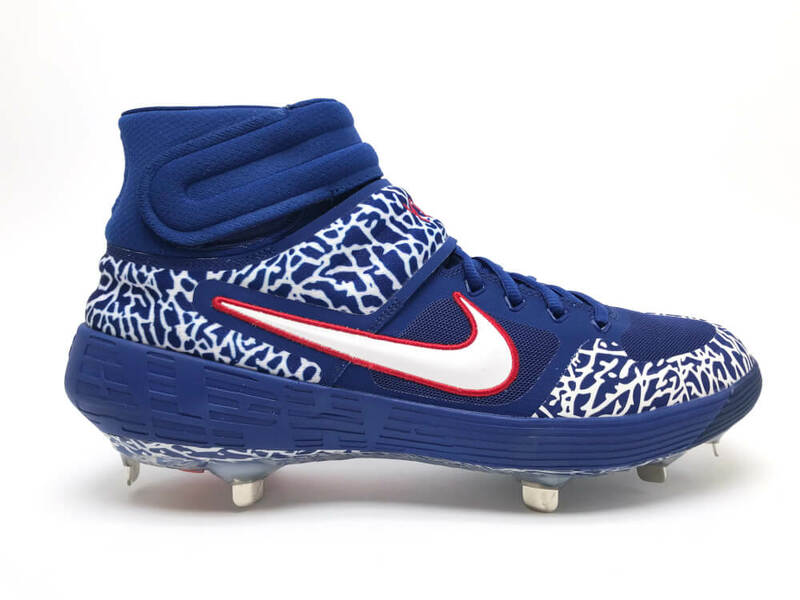 His elephant print player exclusive versions, which oddly enough, he hasn't worn much, are one of the most eye-popping cleats of the season for any player or brand. Instead of the elephant print stunners, Joc has actually been favoring a version of the Alpha Huarache Elite 2 (the gray/white/gold versions pictured) that you can purchase for yourself, at the link. Categories: Joc Pederson, Gear, Outfield, Cleats, Los Angeles Dodgers.